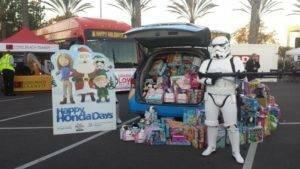 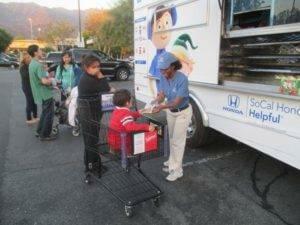 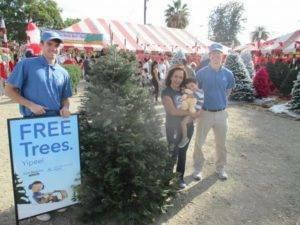 During the holidays, the Helpful Honda Guys in Blue continued to share Random Acts of Helpfulness all over Southern California — they donated toys to kids and teens in need; served warm holiday meals to the less fortunate; hosted holiday arts & crafts events at youth centers; built and gifted bicycles to kids who’ve never owned a bike before; rolled out our first free holiday treats truck across SoCal; surprised dozens of families with free ice skating; and warmed up thousands of overnight campers along the Rose Parade route. We kicked off our #HelpfulHoliday week of giving by building and gifting bikes to at-risk teens and kids of Seeds Of Hope Outreach, an organization that provides resources to the working poor in the Inland Empire. 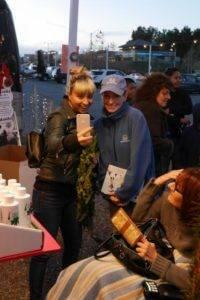 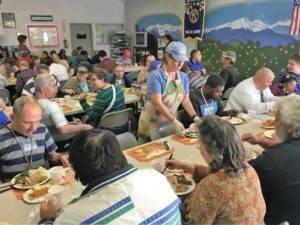 Next, we served warm meals for people in need at the Union Station Homeless Services in Pasadena. Then we brought an evening full of holiday activities to the Boys & Girls Club of Hollywood, and holiday cheer and warm meals to deserving children, families, and the elderly from Community Action Partnership of Orange County Anaheim Indepedencia Family Resource Center. To finish off a holiday week of helpfulness, we hosted the annual holiday party for 250 visitors of OPCC Santa Monica — complete with a warm holiday meal and helpful winter essentials, such as socks, rain ponchos, and toiletries. At each event, the Guys in Blue surprised visitors with holiday cheer, including Santa, blue Santa hats, and a Happy Honda Days photo booth. 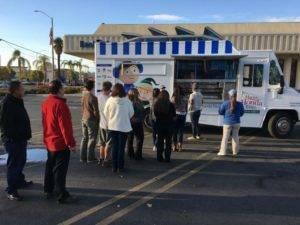 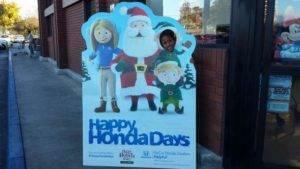 We also introduced our Helpful Honda Holiday FREE Treats Truck at festive community events, holiday tree-lighting ceremonies, parks, and busy shopping plazas throughout December. 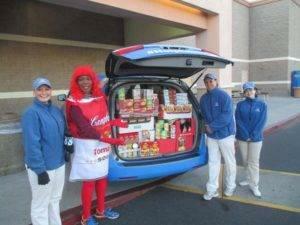 The truck was filled with thousands of old fashioned candy canes, cookies, rice krispies treats, popcorn, chocolate reindeer to help make the holidays a little sweeter, for kids of all ages. 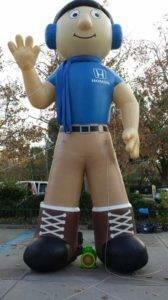 Did you catch the Helpful Honda Guys on Ice performance? The Helpful Guys in Blue turned into professional figure skaters at the Santa Monica Ice Skating rink and surprised visitors with a fantastic ice-skating show, along with a special surprise at the end: FREE SKATING & Hot Chocolate to help warm up! 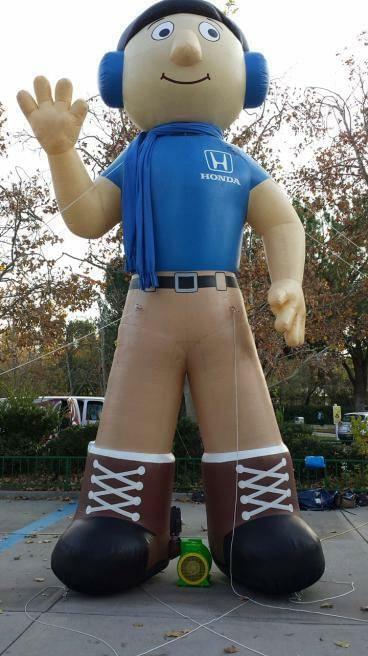 On New Year’s Eve, the Guys in Blue once again rang in the New Year with Random Acts of Helpfulness along the 127th Tournament of Roses Parade route, by handing out thousands of complimentary blue snuggies to help keep the overnight campers warm as temperatures dipped into the 40s. Random Acts of Helpfulness continues into 2016 with even more helpful surprises in store! 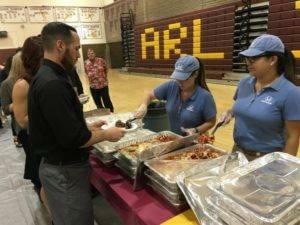 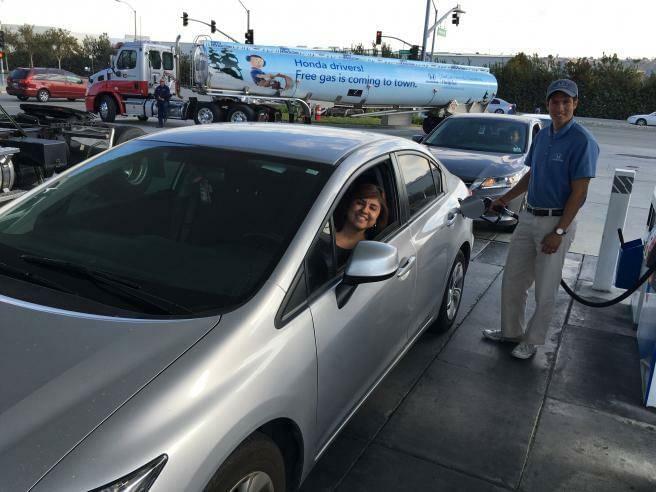 SoCal residents should be on the lookout for blue shirts being helpful this month and throughout the rest of the year – whether it’s popping up at public locations with free roses on Valentine’s Day; helping homeless pets find their forever homes; or helping Honda drivers with free gas; it’s our job to be helpful – no strings attached! 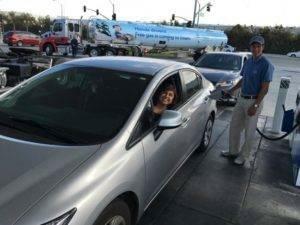 ‘Like’ us at Facebook.com/socalhondadealers, follow us on Twitter at @HelpfulHonda, and share your #HelpfulHonda pictures with us on Instagram at @socalhondadealers.